The majority of Stockport residents have access to the internet and use the web in most aspects of their daily lives including banking, shopping and keeping in touch. The new digital services being developed through the Digital by Design programme are being created for these users, offering them easy access to Council services, information and advice at a time and place that suits them. At the same time, we recognise that many people have never been online and that almost one in four don’t have basic online skills or aren’t very confident online. Some of these people would be able to access services and information independently if they were supported to develop their digital skills or access the internet. Our aim is to ensure that as many residents as possible have access to the internet and feel confident digitally, so that they have all the benefits of being online, from keeping in touch, to saving money or improving opportunities for employment. There are a number of other organisations in Stockport who share our aims so we are working together to target our resources effectively in a joint initiative which will help more residents in Stockport get online. ‘DigiKnow – helping Stockport get online’ has been jointly developed by the Council, Jobcentre Plus, Startingpoint, Stockport Homes, Inspired and Re:dish to promote the benefits of being online and signpost to where in Stockport residents can learn how to use a computer, access the internet for free, including Wi-Fi, or improve their digital skills. Together, we will be pushing out the message that getting online and improving your digital skills is easier than you think, even if you don’t have a computer or broadband or Wi-Fi at home. Where can residents get help? Residents wishing to get started with online training should look out for the posters with the DigiKnow logo or ask for details of DigiKnow training courses at their local library or community centre. There are many places in Stockport where residents can use a computer with broadband or access Wi-Fi – all for free. In the first place, all libraries in Stockport have free to use computers and Wi-Fi, as well as staff who can help residents get started or find training courses or groups where they can develop their skills. 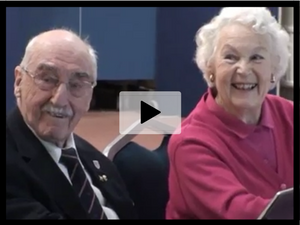 View our staff offering DigiKnow assistance in this short video. There are also many community groups and organisations in Stockport who deliver training in how to use the internet and improving digital skills. Startingpoint currently offer 23 free computer sessions throughout Stockport. Stockport Homes also provide community digital training sessions as well as free to use computers and Wi-Fi for residents in certain housing blocks. View a short video of a community iPad training session here. Those already online and looking to improve their skills can find details of all local courses on Stockport Council’s Events Calendar and there’s also a new Get Online area of our website dedicated to helping people find the support they need to get online. If you are interested in helping other people in your community to get online then why not sign up to be a Digital Ambassador. 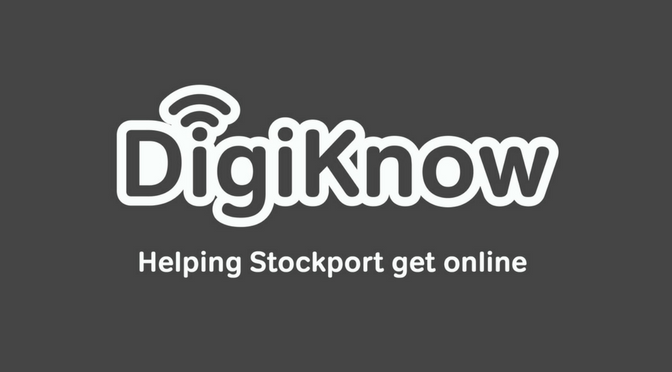 Sign up for the DigiKnow monthly newsletter to receive all the latest news about digital training sessions in Stockport by email.